We know that earning an MBA degree is a significant investment, and we’re committed to helping make it possible for all qualified and committed candidates. Our financial aid office can work with you to make this a more seamless process by helping you get the guidance and resources you need to finance your education. There are various types of financial aid—often made up of scholarships, student loans, or a combination of both. Here, you’ll find information on scholarships, available loan programs, and the application process. Please read the Fuqua Financial Aid Guide Book (Policies & Procedures) to learn more before proceeding with your application. If you have questions about financial aid or need assistance with the process, please don't hesitate to contact our financial aid office. An application for financial aid must be completed each academic year. Prompt responses for extra information or documents will help us process your application more quickly. Every admitted applicant is considered for a merit scholarship. These awards are for the 2-year duration of the MBA program and range from partial to full tuition. We do not currently have funding for new awards in the second year, so students who enroll without scholarship funding should not anticipate an award for year two. For questions regarding scholarship awards or to receive more information about the scholarship review process, please contact your admissions counselor. How will you know if you have received a merit scholarship? Scholarship information will be included in your electronic admission letter. There will be more information about your scholarship and its benefits in your admitted student portal. 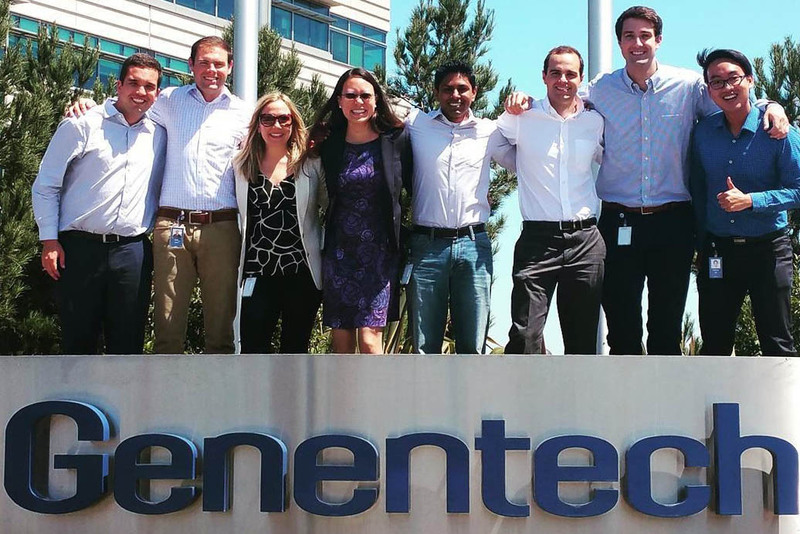 Fuqua merit scholarship recipients are automatically considered for named scholarships funded by Fuqua and corporate sponsors—you do not need to submit any additional materials to be considered. A separate selection process to award named scholarships is conducted during the summer or fall semester. Named awards replace any merit scholarships already received; they do not provide you with extra scholarship funds. Fuqua and a variety of corporate donors fund a generous scholarship program for underrepresented minority students. A complete list of these scholarships is published in the Fuqua Bulletin. Keller Scholarships are named in honor of Dr. Thomas Keller, former Dean of Fuqua, who led The Fuqua School of Business to a position of international prominence in less than a decade. These awards, covering 100% of tuition, are funded by Fuqua, endowments, and corporate donors. The Admissions Scholarship Committee selects Keller Scholars based on academic excellence and strong commitment to improving their communities through leadership and service. U.S. citizens/permanent residents have various options for borrowing the necessary funds to attend Fuqua. All student loans are disbursed to your student Bursar account directly to offset your University charges. You may defer loan payments while you are in school. Loans offer a post-graduation grace period. Both the grace period and the repayment period can vary by lender. Admitted students who are interested in Federal Student Aid and have completed their FAFSA after March 1 will typically receive an award notice within 10-business days. Once the FAFSA result (The Student Aid Report -SAR) is received, your award eligibility will be reviewed. The financial aid awarding process begins in March. Students will receive an electronic notice. Student accepts/reduces/declines financial aid in DukeHub and completes the loan application process outlined in the financial aid award notice. Once an applicant completes the required application forms, loan amounts will be scheduled to disburse to the student's Bursar account no earlier than 10 days before the start of class. Complete one of the following student loan applications: Duke University's Recommended Lenders. Once the lender reviews and pre-approves your loan request, they will send the school a certification request. The school will send a loan certification file to the lender, confirming the approval. Once applicant completes required application forms, loan amounts will be scheduled to disburse to the student's Bursar account no earlier than 10 days before the start of class. Please view answers to some frequently asked questions about scholarships and loans for U.S. citizens and permanent residents. Fuqua is proud to participate in the Yellow Ribbon Program, and awards are available to qualifying veterans. In order to support as many service members as possible, Fuqua does not limit the number of participants in the Yellow Ribbon Program. The Department of Veterans Affairs is responsible for determining eligibility. Fuqua will contribute up to 18,000 USD each VA academic year in Yellow Ribbon scholarship support and the VA will provide up to 18,000 USD in additional funding. You must be 100% eligible for the Post-9/11 GI Bill. You cannot be on active duty. You cannot be a spouse using transferred entitlement. You must have served an aggregate period of 36 months in active duty after Sept. 10, 2001, or have been honorably discharged from active duty for a service-connected disability and after serving 30 continuous days after Sept. 10, 2001. You may be a dependent eligible for Transfer of Entitlement under the Post-9/11 GI Bill based on the service eligibility criteria listed above. How much am I going to receive? Duke University’s Veterans Education Benefits Office administers all Veterans Benefits. The Duke University School Certifying Official (SCO) in the Office of the University Registrar may be reached via email or at 919.684.4225. Visit the office of the University Registrar for detailed instructions on how to initiate/continue your benefits. Should you have any questions or concerns, please contact our financial aid office for assistance. Non-active duty veterans expecting to receive 100% of the Post 9/11 GI-Bill (as indicated on their VA Certificate of Eligibility letter) and Fuqua’s determined Yellow Ribbon amount should be aware that Fuqua’s Yellow Ribbon offer is subject to change and may be fully rescinded should the VA determine a change in your Chapter 33 VA benefit status. It is your responsibility to notify Duke University’s Veterans Education Benefits Office and Fuqua’s Financial Aid Office immediately of any changes to your VA benefit status. Failure to do so may result in full cancellation of your Yellow Ribbon offer. For an overview of how to obtain benefits, see Process Flow & Anticipated Timeline. For additional resources, visit the U.S. Department of Veterans Affairs. The Fuqua School of Business offers both cosigner and no-cosigner international student loan options. For more information, please view Duke University’s Recommended Lenders. Cosigner Options: Loans with a U.S. cosigner typically offer a lower interest rate. The U.S. cosigner must be a creditworthy citizen or permanent resident. Keep in mind that for some lenders, a student must have a social security number in addition to having a cosigner. No-Cosigner Options: International students using a no-cosigner loan option may borrow up to 90 percent of their Cost of Attendance (minus other aid, i.e. scholarships, sponsorships, and other student loans) through a no-cosigner International Student Loan program. Complete one of the following student loan applications: Duke University Recommended Lenders. Once the applicant completes the required application forms, loan amounts will be scheduled to disburse to the student's Bursar account no earlier than 10 days before the start of class. You may find a suitable funding source from our list of external funding programs from international agencies. Please view answers to some frequently asked questions about scholarships and loans for international students. The Rex and Ellen Adams Loan Assistance Program provides financial assistance, in the form of loan forgiveness awards, to qualifying Duke MBA—Daytime alumni who work full-time for eligible nonprofit and government organizations. The program, originally known as the Fuqua Loan Forgiveness Fund, was established through the generosity and vision of The Duke MBA—Daytime Class of 2001. In 2017, it was renamed the Rex and Ellen Adams Loan Assistance Program in honor of Fuqua’s former dean and his wife through a generous gift from the F. M. Kirby Foundation. The program is funded through endowments established by the Kirby Foundation and other generous individuals. The Rex and Ellen Adams Loan Assistance Program is designed to support alumni pursuing a career in the nonprofit or public sector and their goals of making a positive impact in the social sector. This program is not an entitlement; eligibility and selection are determined by the Rex and Ellen Adams Loan Assistance Program Administrators, and awards are distributed on a funds-available basis. All determinations made by the Administration are final, and the Administration reserves the right to restructure the program as necessary at any time. The 2020 cycle covers disbursements from January 2020 to December 2020. The application period is October 1, 2019 - October 31, 2019. Loan eligibility: Federal and private student loans incurred for the cost of the Duke MBA—Daytime program education only. Eligible for up to 8,000 USD assistance annually (Class of 2013 or prior grandfathered for up to 10,000 USD annual assistance). Employment eligibility: Full-time employment by a 501(c)(3) organization, governmental agency, or foreign equivalents. Income eligibility: Alumni are expected to contribute toward the repayment of their Fuqua loans. The level of this self-contribution will rise with income. All tax-related matters are the responsibility of the award recipient. Maternity/Paternity Leave: Participants who may be requesting maternity/paternity leave from their employer will continue to receive the Rex and Ellen Adams Loan Assistance Program support up to 3 months of paid time off. If the participant decides to extend their leave and take unpaid time off, then there will be no Rex and Ellen Adams Loan Assistance Program support for that period. Read the full summary of program requirements and parameters. Apply online after October 1, 2019 for The Rex and Ellen Adams Loan Assistance Program online application for the 2020 cycle. When prompted, use your Fuqua alumni login ID and password. If you need to be reminded of your login ID or have your password reset, please email Alumni Relations. Once you have submitted your online application, a link to the Application Checklist will be found near the bottom of your Fuqua alumni profile page. This checklist provides details regarding the supporting documentation required for the completion of your application. Allow 2 business days from the submission date of your application for your checklist to be generated. For prompt processing of your application, scan and email supporting documentation or fax it to +1.919.681.6243. Please consult our Financial Aid Guidebook (Policies & Procedures). Sign up for information about our Daytime MBA program. 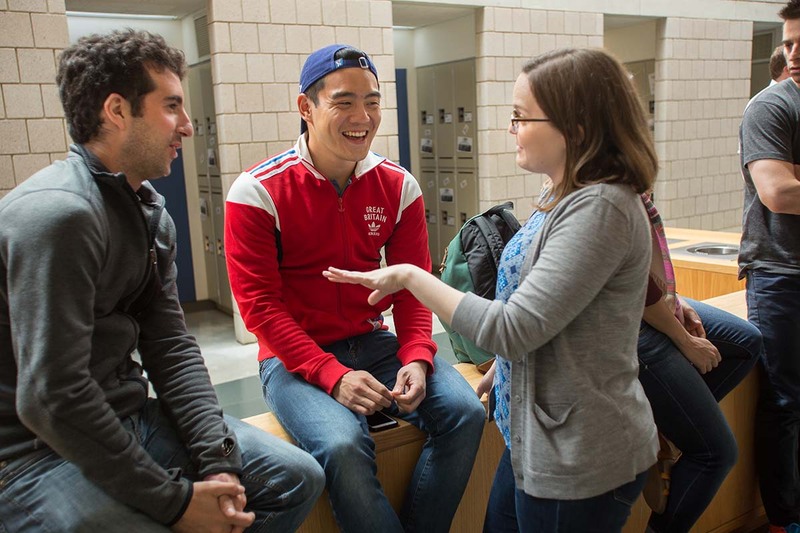 Want to e-connect with a student ambassador? Search our gallery for someone with a common career interest, and send them an email. They will respond to your question(s). Students share whay an MBA was the right career move for them and how they approached the business school experience at Fuqua. 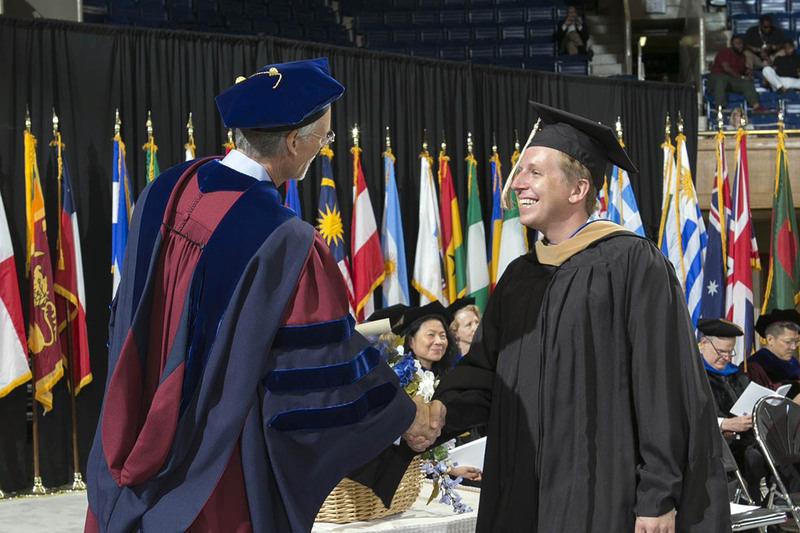 "This is exactly the job I wanted..."
A student shares why Fuqua’s holistic approach to building leaders pays dividends in the short term, and why he expects even greater returns in the future.